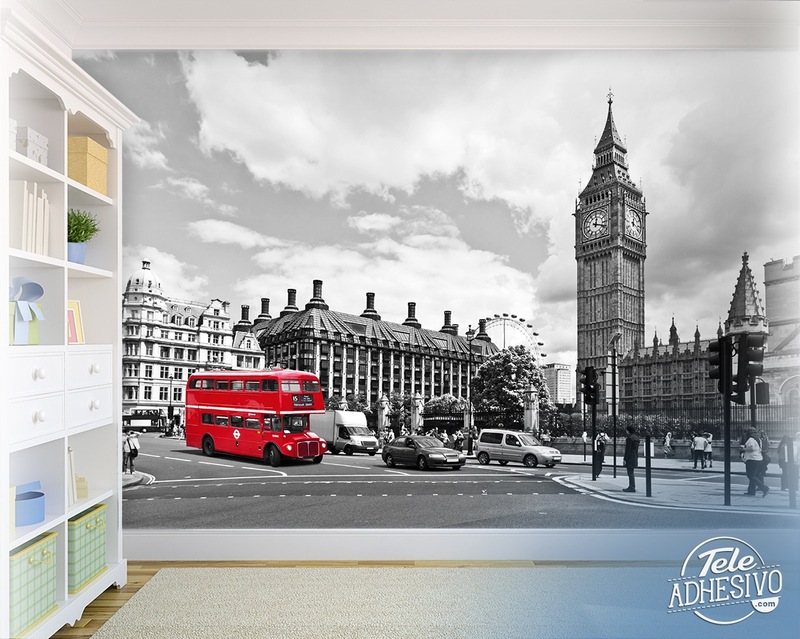 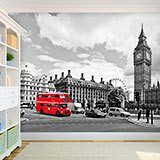 Wall mural Bus in Westminster. 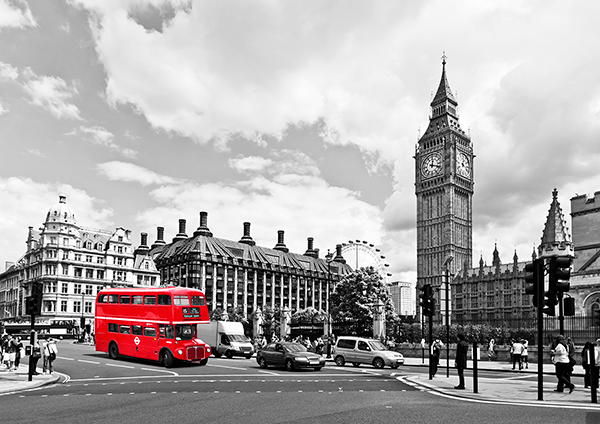 Beautiful black and white photograph of a London square next to Big Ben and Westminster Palace, with a red routemaster bus, as an outstanding element of the snapshot. 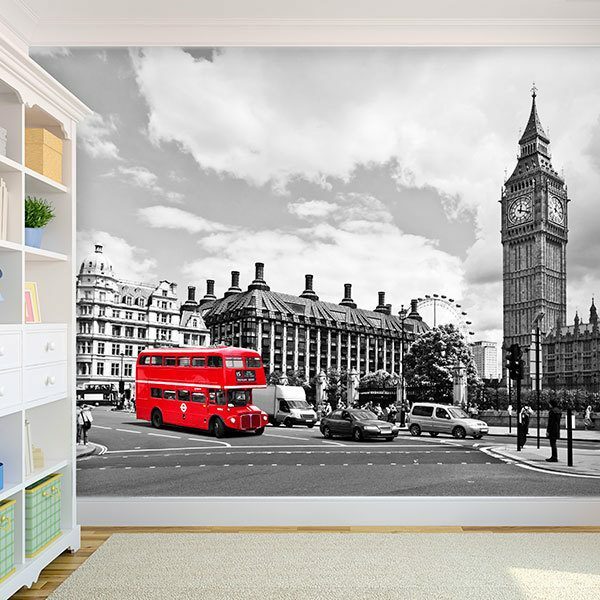 Fantastic image to decorate any room in the house.